William White Cottingham was honored in 1903 to celebrate his 50 years as superintendent of Easton Public Schools and to dedicate the new Carnegie Public Library, now the Easton Area Public Library. 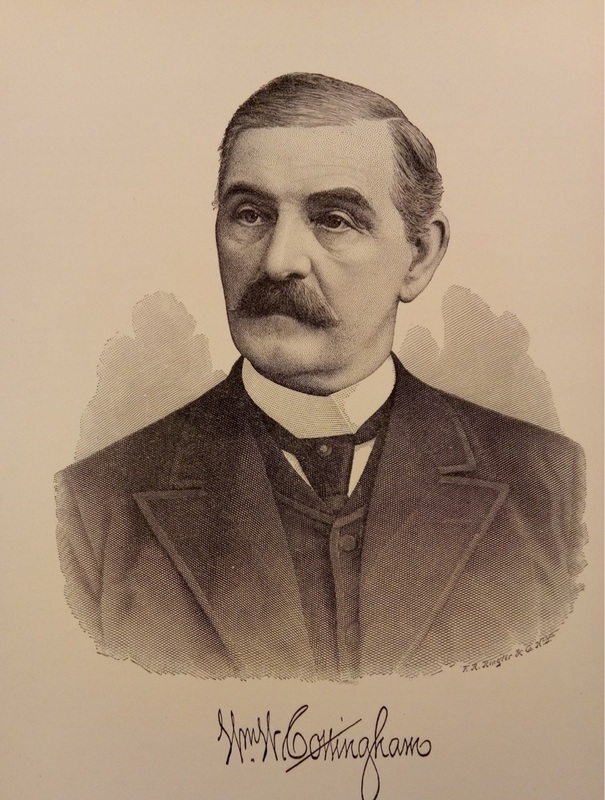 Dr. Cottingham, who was considered to be the longest serving superintendent in Pennsylvania, had also been instrumental in creating the library. Cottingham attended various schools, went to work in his father’s store and finally attended Lafayette College, graduating in 1848. He had several jobs in the educational field, but he was especially interested in teaching the canal boys. In August of 1853 he became superintendent of schools in Easton at the age of 28 years. He continued to be re-elected by unanimous vote of the school board until he died sixty years later. Under Cottingham’s supervision Easton built schools, established a high school, and implemented placing students into grades with classes from kindergarten to high school, an organizational method we take for granted today. Recognizing that not everyone would be college-bound, Cottingham developed a commercial curriculum that was more than just secretarial studies. Books and other necessary materials for learning were given to each student without cost. Musical instruction was given in all the schools. Both Cottingham School built in 1891 and Cottingham Stadium built in 1924 were named in his honor.